All Yoga 200-hour yoga teacher training in Thailand is where you can turn your dream and passion for yoga into reality. Our experienced international instructors will professionally guide you through profound aspects of yoga and help you deepen your practice. We offer intensive yet practical teaching sessions on yoga asana practice, philosophy, meditation, anatomy, yogic lifestyle and many more! ✔ $700 DISCOUNT for sign up received 3 months before start date. ✔ FREE ACCOMMODATION for the first 10 students of each course. You will be studying on one of the most magical island of Thailand – Koh Phangan. From our fully equipped yoga shala you can witness amazing sunrises every morning, tune in with beautiful green forests at your doorsteps, daily lovely soak in the infinite sunshine and tranquil ocean. A perfect settings to reinvent and rediscover, find your ways to inner peace, self-discovery and personal transformation. Note: this yoga teacher training is limited to 22 students to ensure the highest quality of our program and personalized guidance to each student. Accepted students should have experience in Ashtanga Vinyasa Yoga, Vinyasa Yoga, or other dynamic Yoga style. Students should be in healthy condition and must not be pregnant. (Please let us know about any minor conditions or physical injuries). We welcome all dedicated yoga students ready to transform and grow their yoga practice on and off the mat while embracing a yoga lifestyle. Upon completing the training, you will receive an accredited certificate by the international Yoga Alliance. With this Ashtanga Vinyasa Teacher Certification you can teach globally, confidently, safely and wholeheartedly. The yoga course fees start from 2950 USD when registering 3 months before the starting dates. ✔ $700 DISCOUNT for sign up 3 months before start date. ✔ FREE ACCOMMODATION for the first 10 signups! Koh Phangan’s beautiful beaches offer an escape from stress and the fast-paced modern lifestyle. A serene getaway with a wide range of living options for all budgets; there are simple, rustic bungalows from around 500 THB/night to mid-range comfortable living and exclusive villa resorts. Advance booking is possible for some high-end options, though not required for bungalows or dorms. On your first day, we will help you find the accommodation that suits you best! In terms of food options on the bay, there are several restaurants offering delicious Thai, international, vegetarian and raw cuisine. Prices for Thai dishes start at around 100 THB. 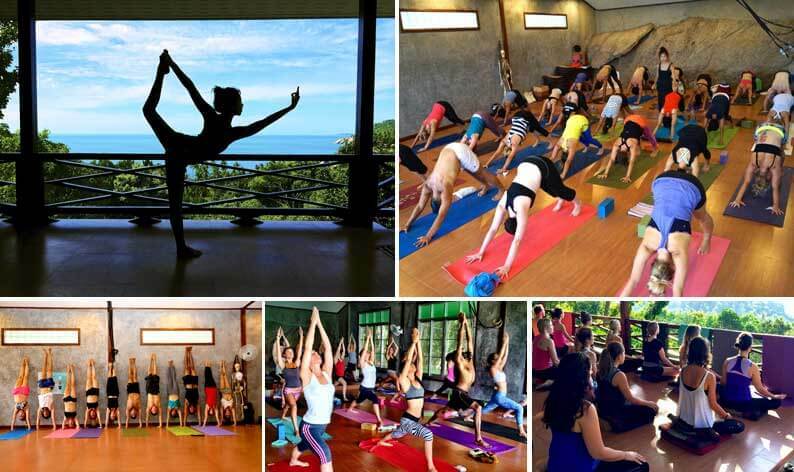 Picture yourself practicing yoga on a beautiful hillside overlooking the tropical jungle and the pristine turquoise sea. We also practice right above the ocean on an amazing open yoga platform with a fantastic view! 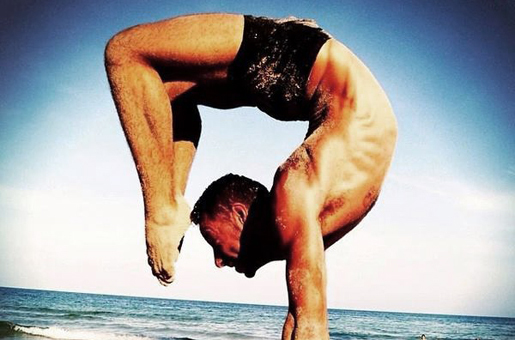 Founder of All Yoga Training, David has been running yoga courses since 2009. He had the honor to share the journey of thousand aspiring yoga teachers as a course facilitator. The heart of his teaching is based on Mindfulness. His goal is to teach students how to integrate the Yoga Practice to the daily life. Teaching internationally for nearly 15 years and leading training, Vari is an accomplished trainer. He knows how to push and inspire student out their comfort zone to grow their inner potential. His warm personality make his teach style very dynamic and inspiring. Marcela is an international teacher and co-founder of All Yoga Brazil. Blending her Brazilian roots and loving nature, Marcela is a lively, caring and playful teacher who spreads love and compassion. 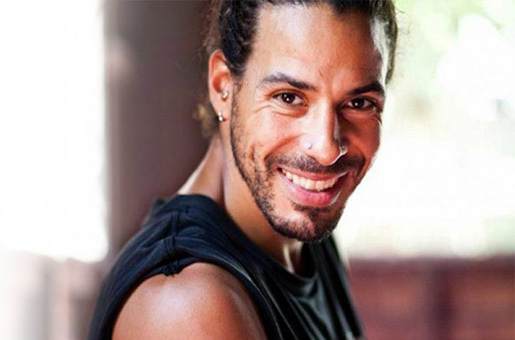 With a background of professional contemporary dancer and teacher, David was introduced to Ashtanga-vinyasa Yoga in 2009 and started to teach shortly after .He is now an recognized international teacher. Camila is a Brazilian, with a free spirit soul. Her yoga path started when she was a teenager as a practitioner. 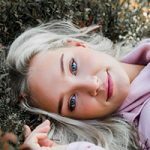 After practicing for a while she realized yoga was what made her happy and decided to study more and understand, why yoga was making her feel so good. Since 2010, Seline has been teaching Groupfitness classes and trained new instructors. She holds importance for finding balance between strength and flexibility, why she started practicing Yoga. Immediately, she knew Yoga will play a big role in her life. Founder of Yoga Seed, one of the most popular yoga studio in Singapore, Wendy has been teaching Yoga since 2010. Her focus is on the Yoga Anatomy and the therapeutic approach of Yoga to heal the body. 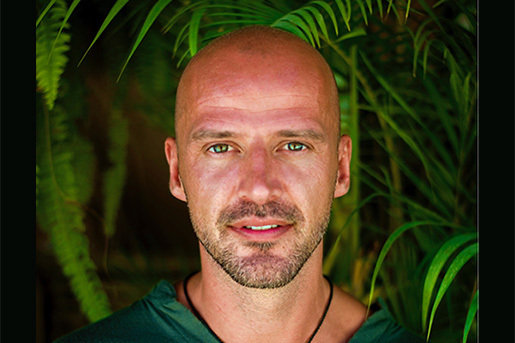 Tobias is a licensed practitioner of Chinese Medicine and Acupuncture, bodyworker and therapist with over 15 years of experience and have treated more than 15.000 clients. 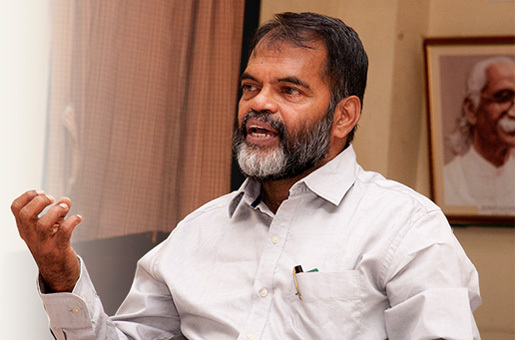 Dr Ganesh has conducted more than 13500 sessions of Yoga education to date, covering both the theory and practice of all aspects of Yoga catering towards health,healing and the yoga lifestyle. He is currently in charge of the official Yoga certification process in India. 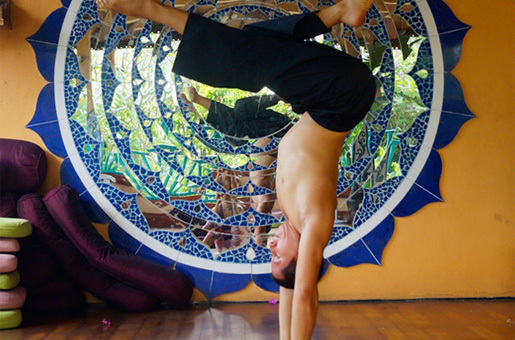 Why do a yoga teacher training in Thailand? Thailand is one of the most sought out places for spiritual pursuit in the world. Firstly, Thailand’s natural landscape is undeniably breathtaking. From mountains to the sea, Thailand is a tropical paradise offering nature’s best sanctuary for yoga and meditation . Secondly, it is affordable to travel within Thailand, which makes it an ideal yoga teacher training location for most people. 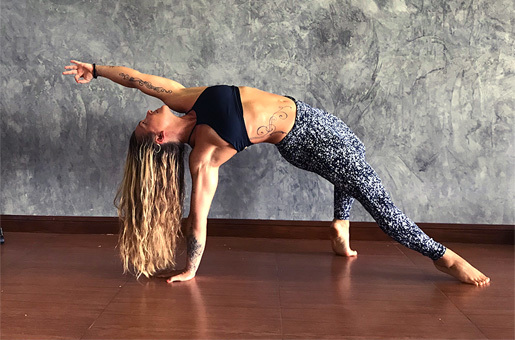 A yoga teacher training is a hefty investment, and Thailand’s low cost of living makes it possible for many people to enjoy their travels during their yoga training. Thirdly, Buddhism is Thailand’s national religion. The country is culturally enriched with spirituality and makes it one of the best places to deepen your yoga practice. Is it safe and easy to travel to Thailand and Koh Phangan? Millions of people from around the world travel to Thailand annually. Well-catered to tourists, Thailand is a very safe and easy place to travel to. English is widely spoken everywhere and most restaurants/facailities have English signs. Koh Phangan, like all places in Thailand, is very safe and easy to get to. Generally, people who visit this island are courteous, adventurous, and easy-going! There are hundreds of people daily visiting this beautiful island and you can get the directions here. I have heard many things (good & bad) about the full moon party on Koh Phangan, should I be concern how it would interfere my yoga training? Indeed the full moon party has its mixed reviews. Geographically, the full moon party is at a separate bay from the training location (Haad Tien Bay), and can only be accessed by boat. People who go to the party rarely come to Haad Tien unless they’re there for a yoga retreat or detox program. Unless you actively seek out the party, most of the time the full moon party goes unnoticed to the yoga trainees. 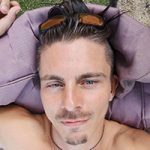 I am vegan/vegetarians, what can I eat in Thailand? For vegans and vegetarians, you’re at the perfect place! Vegetarianism is widely practiced in Thailand due to Buddhism. You can find many vegetarian/vegan dishes in almost all of the restaurants. Our favorite picks are green curry with tofu and vegetarian Pad Thai. I eat meat, do I have to stop eating meat during my yoga teacher training? Although there is no specified diets, it is highly recommended to try out vegetarianism during your yoga teacher training. Depending on your existing eating habits, you might find being a vegetarian during training would help detoxify the body and clear the mind. Is food/accommodation expensive in Thailand? Not at all. Food and accommodation are generally inexpensive in Thailand. Local cuisines such as Pad Thai and curries start as low as USD $2 to $3, and dormitory/bungalow ranges from USD $6 to $45 per night. For more details, see here. What are the accommodation options for Koh Phangan? Dormitory (200 Baht/night): Spacious and clean. Accommodates up to 20 people, the dormitory is equipped with a double mattress, pillow, and mosquito net. There is a shared toilet/shower room next to the garden. 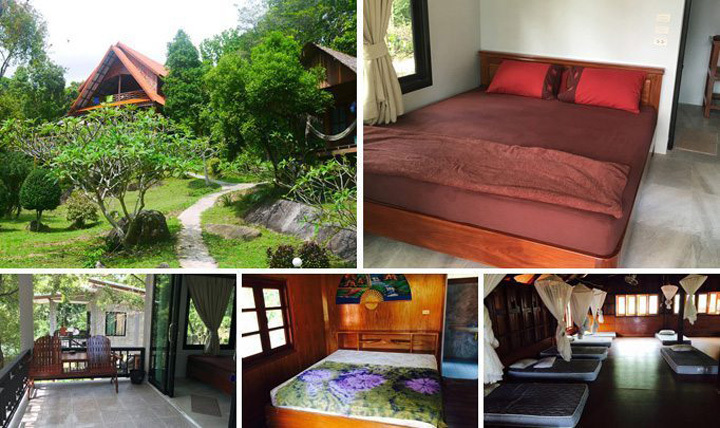 Wood Bungalows (800 Baht/night): Private and quaint, these rustic bungalows have a comfortable double bed, spectacular ocean view, a porch with a relaxing hammock and an asian style squat toilet. Superior Bungalows (1500 Baht/night): Spacious and bright, the superior bungalows have a big double bed with western style bathroom, a built-in closet, and a big deck with a view. Am I ready for a yoga teacher training? 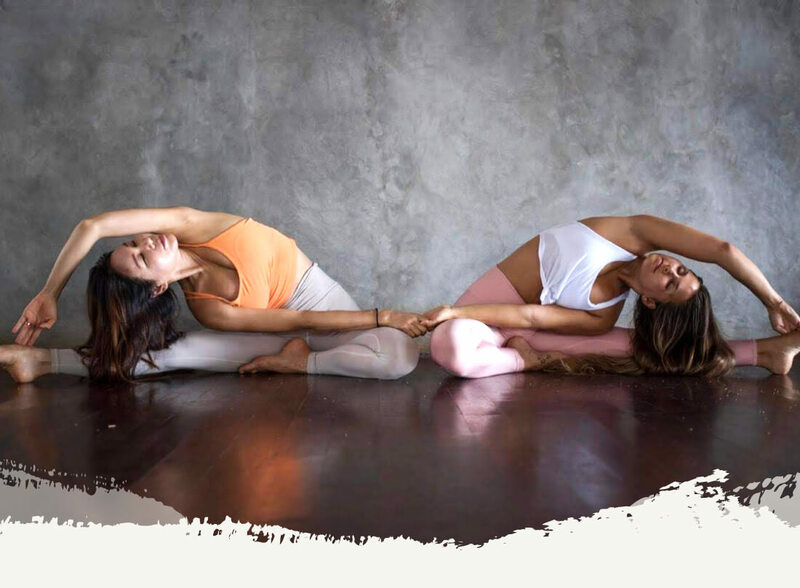 If you have the passion to learn more about authentic yoga philosophy, and the desire to progress in your yoga practice, you’re ready to join a yoga teacher training. It is recommended to have at least six months of consistent yoga practice before joining. This prerequisite helps prepare your body and mind for the intense schedule during the course. Joining a yoga teacher training is the first step of your spiritual journey. A teacher training is a perfect place to meet like-minded people who share the same interests as you, and are willing to put in the effort to complete the course. Transformation awaits you and it is up to you to harness it! What if I don’t want to become a yoga teacher? Many students who join the teacher training do not want to become a yoga teacher. And that is absolutely alright! The practice of Yoga is beneficial for everyone regardless if you want to make teaching yoga a career or not. Yoga is a way of life, and you will learn new ideas and expand your worldview during the teacher training. How do I know the school is professional and with high quality? Yoga Alliance (YA) is an organization that helps regulate the quality of yoga teacher training worldwide. Check if your school of interest is accredited by Yoga Alliance. Also, the best way to find out if the school is professional and with high quality is through their testimonials and reviews. 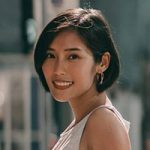 See what the graduates have to say about their training, and you will have a good idea whether the school is up to your satisfactory level or not. Should I be worry about malaria or dengue in Thailand? Malaria is not commonly found in major cities/tourist areas in Thailand. There are cases of reported Dengue in Thailand, nonenthess, it can be prevented by using mosquito spray, proper management of standing water and long-covered clothing. 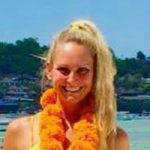 I am a first-time solo traveler, what should I be aware of or expect attending a yoga teacher training in Thailand? There are many solo travelers visiting Thailand per year. Chances are you will meet like-minded people along the way and strike up interesting conversations. Nevertheless, for solo travelers, the best advice is to practice common sense. For example, avoid going out alone to unpopulated places in the night, keepsafe your valuables, and be responsible of any alcohol consumption. If I want to stay after my training, where else should I go visit? Thailand is a magical country filled with beautiful landscapes and culture. We recommend heading north to Chiang Mai to visit the mountainside, take a dip in the hot springs and waterfalls in Pai, and enjoy the ornate shrines and busy street life of Bangkok. The list goes on but we do highly recommend you taking some time after your training to soak in the newly learned knowledge in a beautiful country. What happens after my training? Would I be able to teach professionally right away? Upon successful completion of the course, you will be able to teach professionally right away. Most graduates start by teaching beginner classes, and as time progresses, you will be able to expand your classes to more advanced levels. How much money you should bring depends on your spending habits. In general, most people can live basically in Thailand for under USD 30/day. However, expect to spend more if you intend on doing some shopping, massages, and indulge in food/drinks. Very transformational yoga teacher training. Before the course I didn't know what I was capable of. The training was very challenging at times, especially when having two big classes a day. Several days in a row, but after all, it was all worth the effort. Very glad I met Vari and decided to do the YTT with All Yoga. 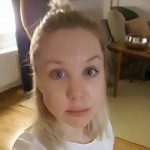 The experience of the 200hr YTT with All Yoga is amazing! I have to stay that three weeks here make me become a better person. It is not only about physical but also mental. I see the world from a different angle now. Everything is possible if you really want to make it! The training boosts me up the confidence inside me. The teachers always support and encourage you. They are very knowledgeable. I feel grateful that I took this course with All Yoga. Friendly people with good energy surrounded me. I learned many things here and I am ready to spread all the knowledge that I acquired and good energy to other people. Thank you All Yoga! Before I started the Yoga Teacher Training with All Yoga I was a bit scared that I am not good enough in my practice or that I would have problems with the English language. But everyone was always so lovely and I never felt any pressure. I learned to trust the process, o be more patience with myself and now I am so much stronger in physically and mentally. Joining this training was the best decision ever! I had the best time with all those beautiful people I met here and I couldn’t be happier. If you are already thinking to have this step in your life. Do it! You are enough! You will be going out of your comfort zone and opening your heart to grow. I felt safe and loved. I enjoyed the beach front shala and the beautiful island of Nusa Lembongan. The teachers were all experienced and they took care of everything you can ever imagine. Long days, a lot of things to absorb and learn. Lots of sweat, lots of teaching and practicing, but with this community you feel energized and inspired every day throughout the training. ★ Amazing Locations in Paradise!